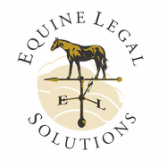 Equine Legal Solutions counsels many clients, both equine professionals and individual horse owners, on horse-related liability of many types. Here are articles we have prepared on common equine liability topics. For more equine liability articles pertaining to specific subject matters, such as boarding or breeding, please see the categories below. Horses + Party = Lawsuit? Warning Signs - To Post or Not to Post?